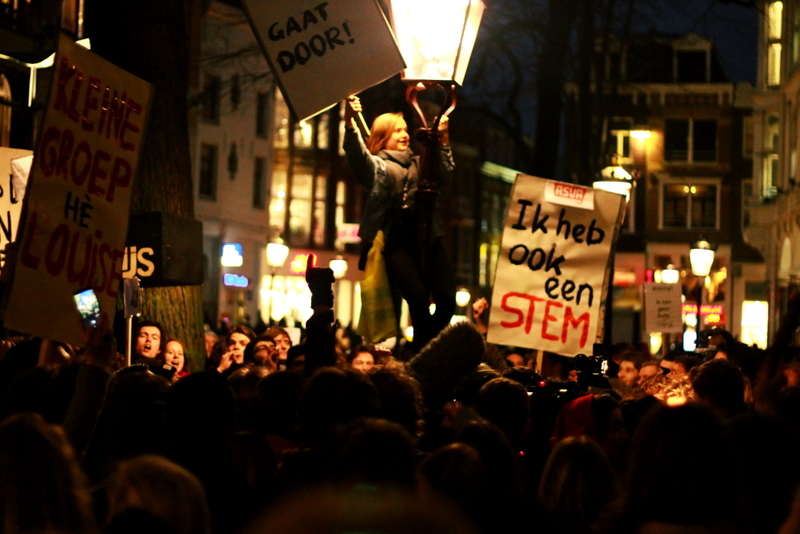 The past two weeks Amsterdam has witnessed the rise of a rapidly growing student mobilization. 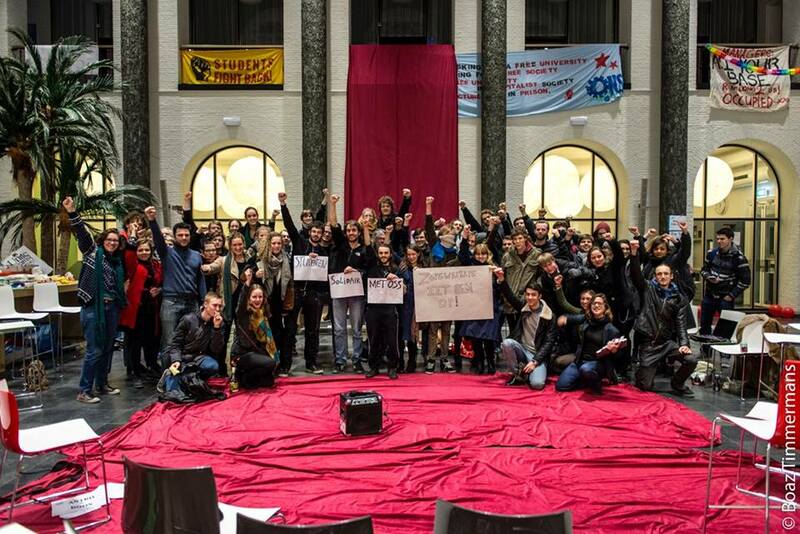 On Friday February 13, the student collective ‘The new University’ occupied the Bungehuis, in an act of protest against the financialization of the University of Amsterdam (UvA) and the unwillingness of the university’s executive board to take student claims into consideration. The Bungehuis is one of the iconic buildings of University of Amsterdam wherein the Humanities Faculty is primarily located. The occupation has moved on to the Maagdenhuis, the building from which the university is governed, as of Thursday night. By then, the protestors of the New University were joined by the ‘Humanities Rally’, another group of students with a similar mission. 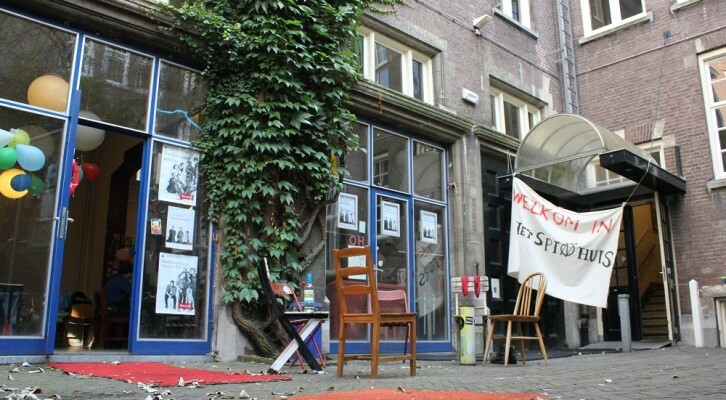 The initial spark of the student mobilization, however, was the squatting of the former common room of the Spinhuis back in September 2014. 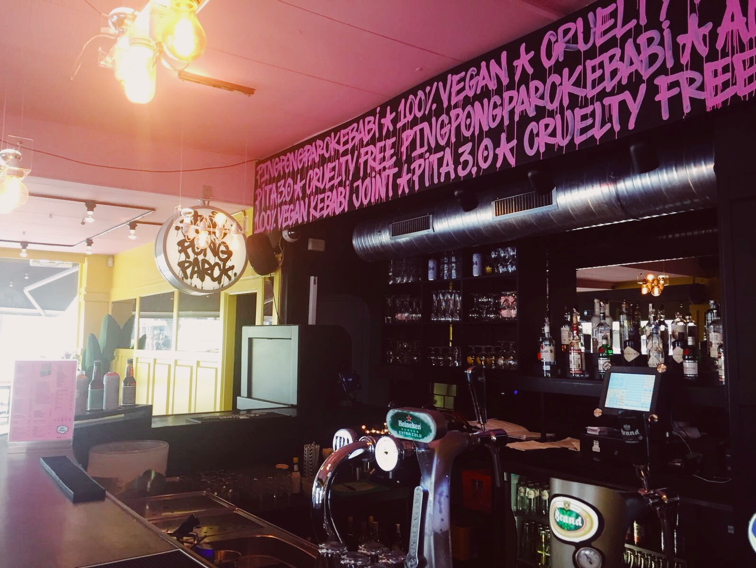 The common room was an autonomous student space located at the heart of a historic UvA building in the city center of Amsterdam which was to be eradicated due to the organizational reforms that led to the relocation of the faculty against the will of many students and staff. 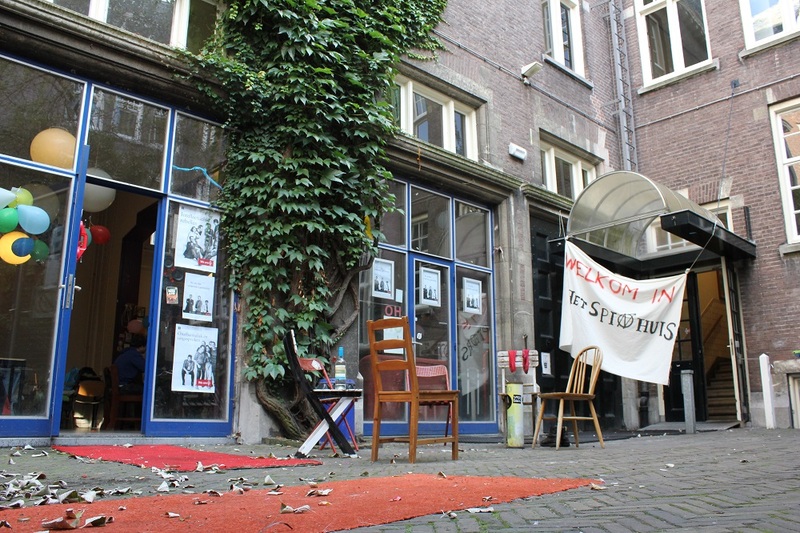 The squatting of Het Spinhuis was a public act of defiance and protest that not just called attention to property speculation and to the physical struggle over the use of privatised space, but also to the reclamation of a space symbolic to multiple generations of UvA students whose political ideas, memories and friendships took form in that very room. Although the collective was forced out of the building in January after the court ruled in favour of their eviction, its impact on rendering student politicization and mobilization visible both on and off university grounds remains significant. The fact that we are seeing student protests gaining momentum in Amsterdam right now is not surprising in the least, given the managerial reforms currently taking place in Dutch academic institutions grounded in broader Neo-liberal agendas. In their recently published article, UvA anthropologists Ellen, Grassiani and Kirk emphasize a shift towards a so-called neo-liberal individualism in the management of Dutch universities, whereby corporate management tactics are used to constantly measure individual performance. What we are witnessing is in other words a reorganization of the university in line with market-based mechanisms. The insertion of corporate structures into university management and the consequent obsession with performance and output has created a state of insecurity among both students and educators. This growing state of insecurity and precarity in the acadame continues to take its toll on the mental wellbeing of its members as well as the quality of education and the science produced. It has also brought about an environment of intensifying competitiveness wherein possibilities for collaboration are ruled out and teaching and education have become secondary to the task of bringing in and securing funding. The Right to the University: Who is the University for? The response of the UvA’s executive board to a legitimate form of student protest concerning pertinent matters (which are widely shared and supported by many of us within the academic community) has been disheartening. Instead of engaging in a much needed critical dialogue with students, the board’s reaction was to criminalize students and take them into court. Some students have been arrested and faced with outrageous financial burdens. The fact that students have been charged on the grounds of occupying university buildings raises the question of who is the university for: who has a stake in it and who (if not the student) has the right to the university in its physical, spatial sense? The criminalisation of the student occupation of university spaces undermines the basic right of students (should they remain the primary stakeholders in education) of having access to university resources of which space is a basic one. David Harvey argues that the right to the city transcends the individual liberty to access resources, it is rather a common right to change ourselves by changing our city. A right which grants us the collective power to transform processes of urbanization and development. The restructuring of the university is a fundamental example of such development. The right to make and remake our universities, our cities and in turn ourselves is, as Harvey asserts, among the most precious yet most neglected of our human rights. The critical pedagogist and visionary bell Hooks warns us against a dystopian corporate acadamic world wherein ‘the primary goals of institutions are to sell education and produce a professional managerial class schooled in the art of obedience to authority and accepting of dominator-based hierarchy.’ On the contrary, when education becomes a counter-hegemonic liberatory practice, it serves to help students ‘shift their ideas about learning from passively embracing education as a means of joining a professional managerial class to thinking about education as the practice of freedom. Rather than punishing students for interrogating the forms of knowledge offered them, we should encourage them to repudiate educational practices that reinforce dominant ideology, to open their minds and think critically. To think in ways that reinforce self-determination.’ The occupation of the Maagdenhuis is the very manifestation of this student self-determination. 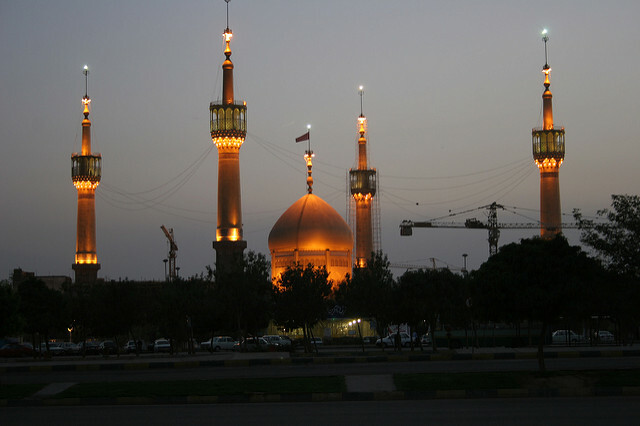 It signifies an embodied resistance to the conventional tendency to maintain dominator values to higher education. It is a timely reminder to all of us that education should be valued as an end in itself and not as a means to reach another end (class mobility, power, status); neither is it a ground for furthering profit-oriented Neo-liberal agendas. Education is the sphere wherein lies the promise of change. That is the heart of the matter. Support the New University and the students’ rights to protest in Amsterdam by signing their petition here. Thanks for your article Donya! I think you managed to explain the underlying dissatisfaction quite well! The only thing I have to note though is that the students that got arrested from the Bungehuis were eventually released the next day without any real charges (so they didn’t have to actually pay the financial burdens they indeed got threatened with).